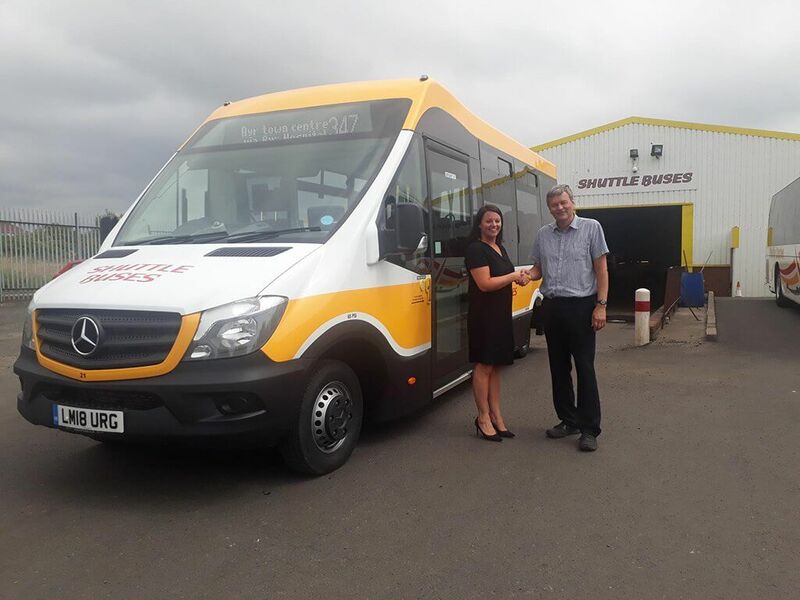 Shuttle Buses has taken delivery of a Mellor Strata low-floor bus for a subsidised service contract to the Strathclyde Partnership for Transport. Managing Director of Shuttle Buses, David Granger, said: “This is the first Mellor vehicle we have purchased following a successful trial of a Strata demonstrator last year which we really liked. Shuttle Buses said it wanted a vehicle with a ‘big bus’ feel, and therefore specified a high quality interior with leather effect seats, wood panel flooring and silver grab rails. The Strata low-floor has recently been awarded a Low Emissions Bus (LEB) certificate in the UK. The accreditation, as described by the UK government, is awarded to vehicles using technology that produces 15% fewer ‘Well-to-Wheel’ emissions when compared with equivalent Euro V diesel buses.